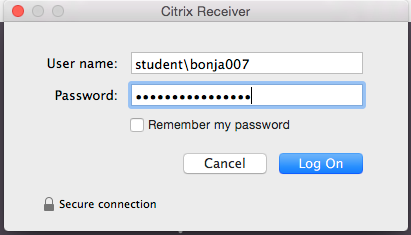 Citrix Workspace app (formerly known as Citrix Receiver) is the easy-to-install client software application that works in the background to provide secure access to your Student Desktop or Staff Desktop. It can be downloaded for free for any device including smartphones, tablets, and Windows and Mac computers. 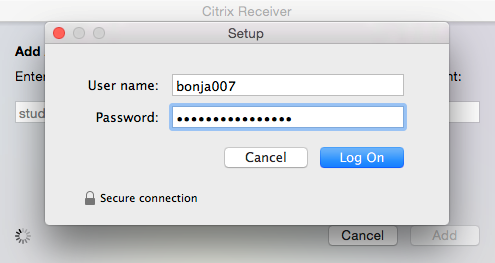 This step-by-step guide shows you how to install the Citrix Receiver/Workspace so you can use the fully-featured verson of the Student Desktop on your own computer. Make sure you put the \ the right way round! 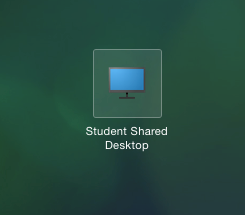 Once the Citrix software is installed, just open it and click on the Student(or Staff) Shared Desktop icon whenever you want to use it.